Dimensions 0.75 by 5.50 by 6 in. Amazon.com description: Product Description: Conventional thinking says that entrepreneurship is all about excitement and big bets, while traditional career paths are all about stability. But now technology makes it cheaper and easier than ever to start and manage a business. Rather than watching full-time entrepreneurs from the sidelines, you can join them by integrating entrepreneurship into your life without leaving your day job. 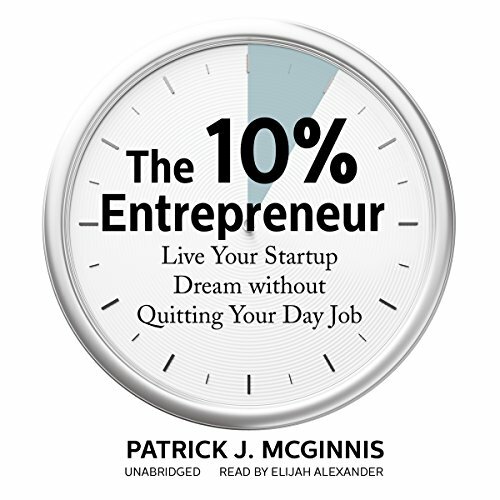 In The 10% Entrepreneur, venture capitalist Patrick McGinnis shows that by dedicating at least 10 percent of your time and capital to invest, advise, and start new businesses, you will forge a path to greater autonomy and personal satisfaction. About: Choosing between the stability of a traditional career and the upside of entrepreneurship? About: Conventional thinking says that entrepreneurship is all about excitement and big bets, while traditional career paths are all about stability.